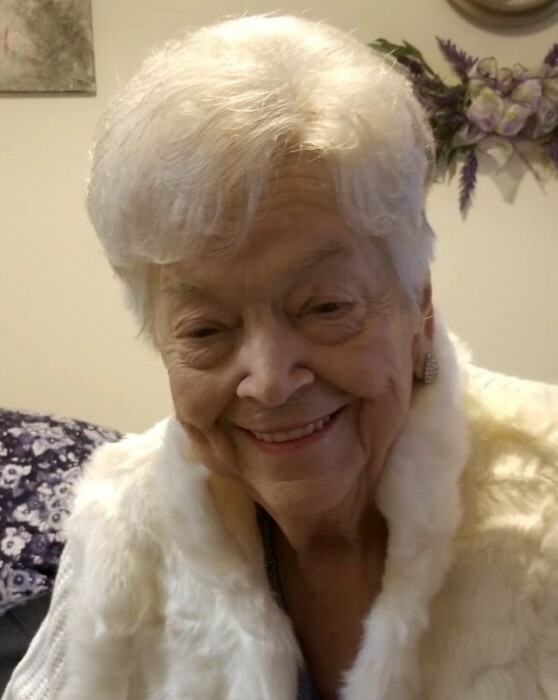 Carmen Priscilla Audet Libby, 90, of Farmington, passed away peacefully Wednesday morning, December 5, 2018 at her home. She was the wife for 66 years of the late Emile L. Libby who passed in 2012. Carmen was born in Waterville, Maine on March 16, 1928 daughter of the late Edgar and Simone (Albert) Audet and moved with her family to New Britain, CT in 1959. Carmen worked at Emhart for most of her career and then retired to Florida with her husband Emile in 1985 where she was a volunteer at Osceola Regional Hospital in Kissimmee, Florida for several years. She is survived by her daughter, Ann Mazzarelli; son, Roland Libby; son, James H. Libby and his wife Deborah Libby; her seven grandchildren, Michael Mazzarelli, Jr., Donna Mazzarelli, Keith Libby, Melissa Libby, Ryan Libby, Dustin J. Libby, and Jason Shaw. She also has eight great-grandchildren. Calling hours will begin at 9:00 a.m. on Saturday, December 8, 2018 at O’Brien Funeral Home, 24 Lincoln Ave., Forestville/Bristol. A service will follow at 11:00 a.m. Her final resting place will be with her husband in Florida National Cemetery, Bushnell, FL. In lieu of flowers, the family is requesting donations to the American Cancer Society, 825 Brook St., Rocky Hill, CT 06067 (www.cancer.org) in Carmen’s name. To leave an online message of condolence, share a memory or a photo, please visit Carmen’s tribute page at www.OBrien-FuneralHome.com.